I was gifted with three large red bell peppers from a family member. My family does not particularly like bell peppers. 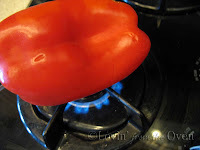 I remembered seeing Martha Stewart roasting red peppers on her stove many years ago. If you love torching your marshmallows on an open fire, you'll love roasting these peppers! Roasting peppers is very easy. If you don't have a gas stove, you can use your oven and roast these in 15-20 minutes as Cookin' Canuck demonstrates in this post. I stuck a fork in the top of the pepper to be able to turn it around as it cooks. You can use tongs, if you wish. 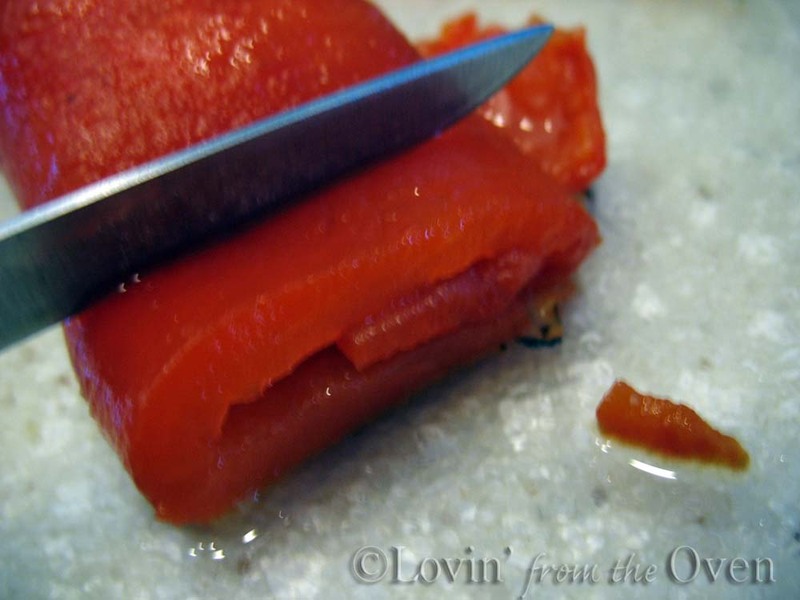 Make sure EVERY bit of the pepper is black. 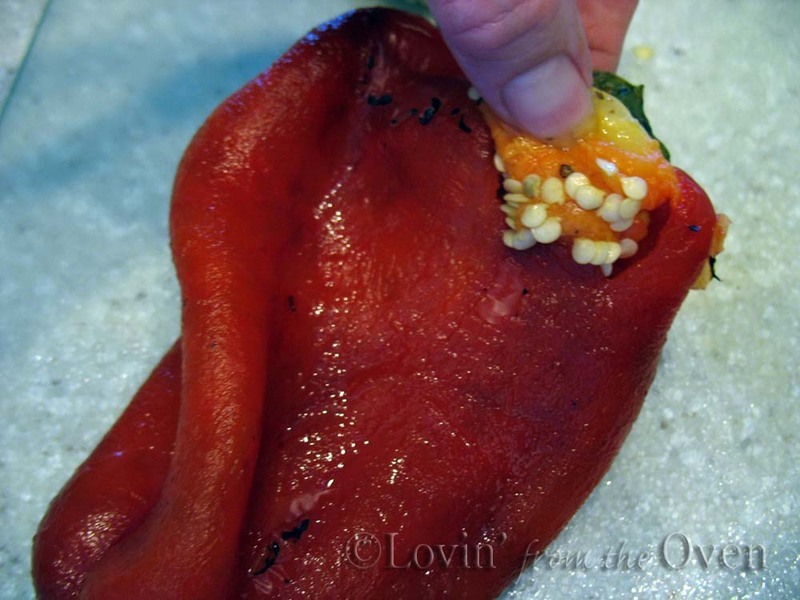 Prepare to hear some popping noises as the moisture escapes from the pepper. 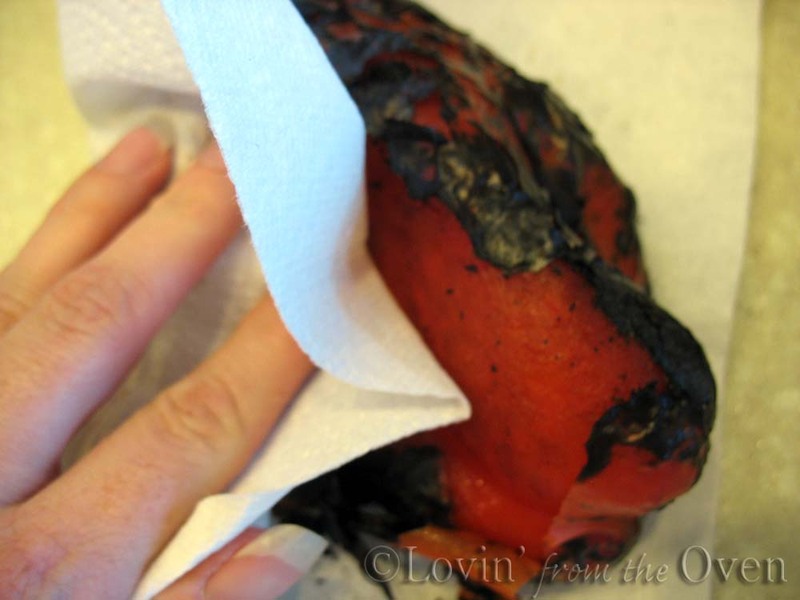 Place the burnt pepper in a paper sack, fold down the top and let it steam for ten minutes. 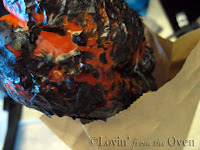 After ten minutes, remove the blackened skins. I like to use a paper towel. 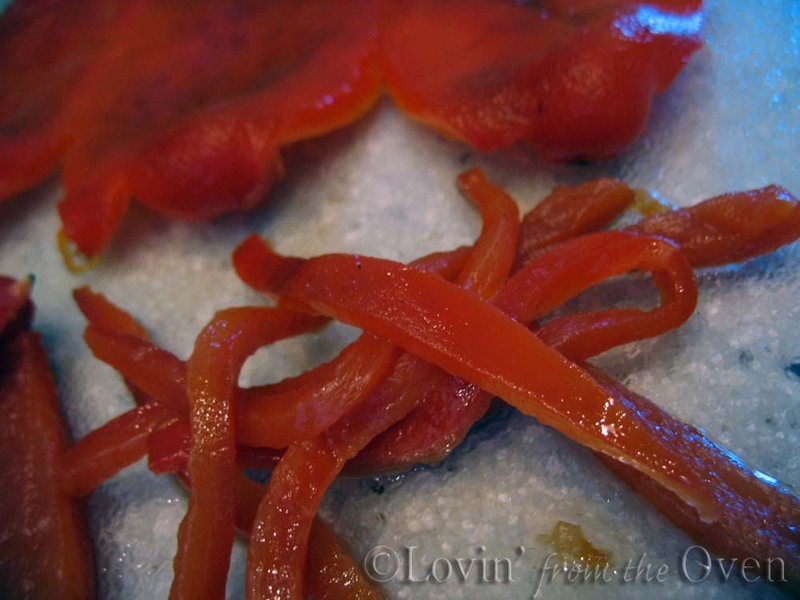 Restrain yourself from rinsing the peppers under water! You will lose the roasted taste if you do. The top core pops out easily. 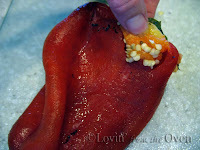 Slice the pepper open and with a knife, scrape the seeds and membranes out. 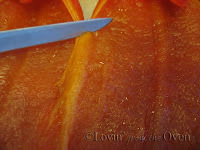 Roll up the pepper and slice thinly. 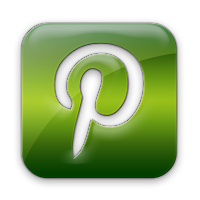 love the step-by-step. 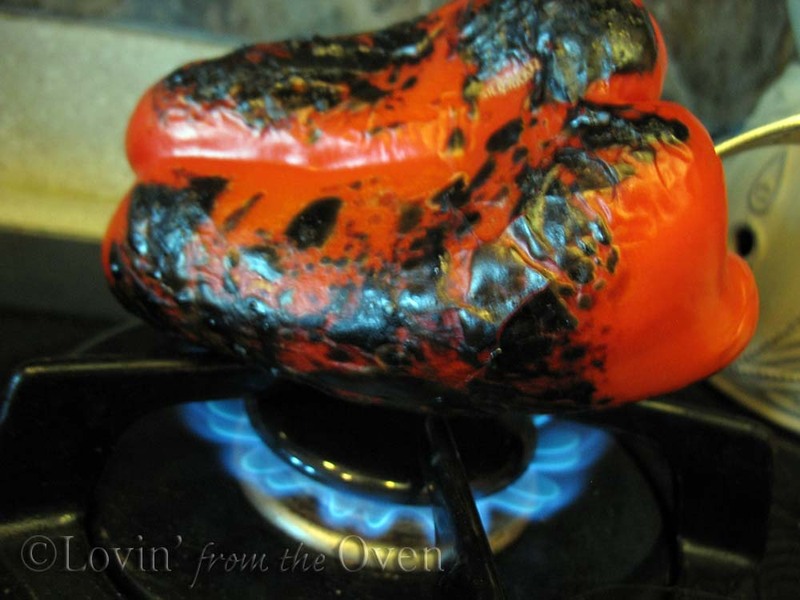 i really should start doing my own roasted red peppers. thanks. THIS is when I wish I had a gas stove. I roast them in the oven but I've always wanted to try it over an open flame.